2 1/4 x 1 3/4 in. 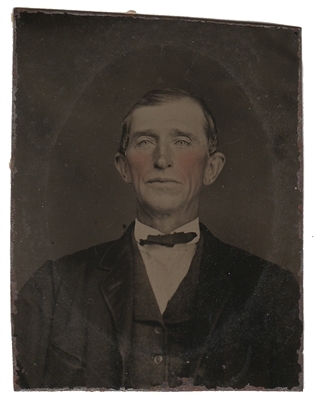 tintype of a man with rosy tinted cheeks. Paper remnants glued to verso, some wear to edges.